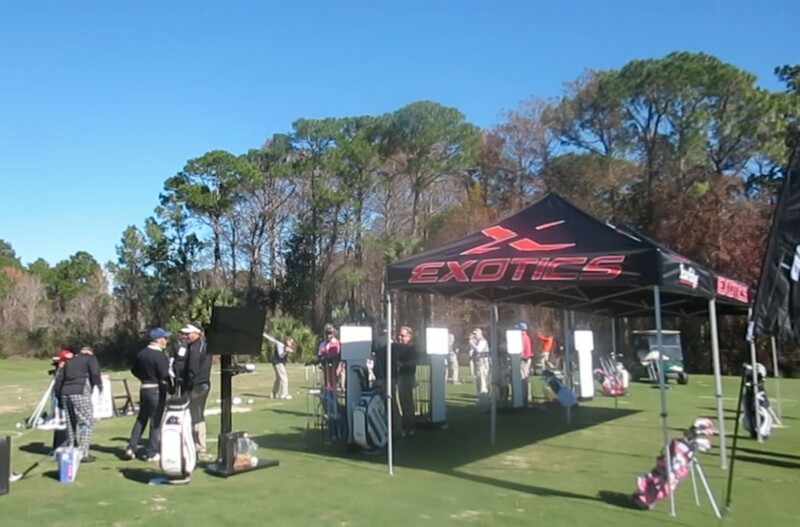 Take a Number: At Demo Day at the PGA Merchandise Show, there’s excitement in the air. And golf balls. Finally liberated from decades of covering college basketball in January—no complaints there—I come away from my first trip to the PGA golf merchandise show with these thoughts. The important equipment trends are. . . there are a ton of good clubs out there. The top brands are outstanding. But don’t limit yourself to prestige names. . . grips and shafts also are growing immensely in importance. . . with all of these variables, it’s more important than ever to check out a wide range of equipment—in hitting bays, at demo days and with a dedicated club-fitter. Clubs. Grips and shafts. Clubfitting. That’s a mouthful. Let’s break it down. 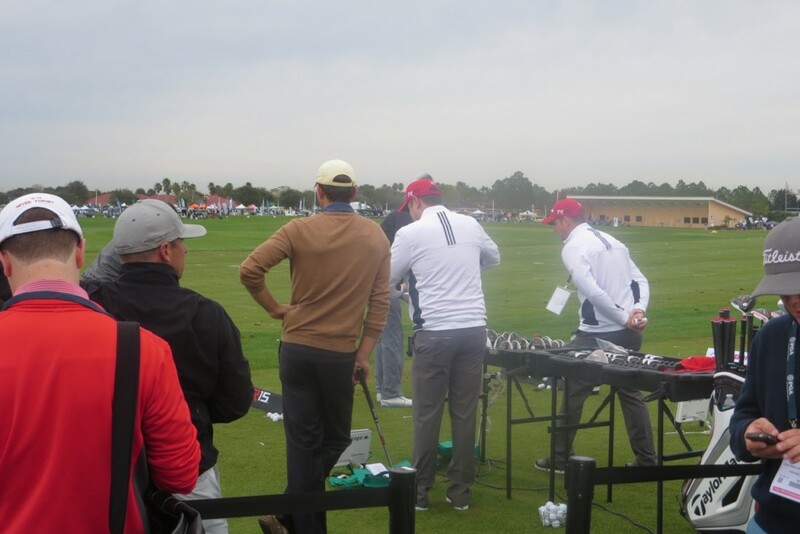 1—CLUBS: The 360-degree driving range at the PGA Show is an overwhelming delight. After sampling the clubs of several manufacturers at the world’s most dazzling, and dizzying, driving range, I can tell you that the refinement of clubs continues unabated. While I still embrace my TaylorMade Burner irons, the newest generation of TaylorMades definitely hit the ball higher and farther—and they are more forgiving. Mizuno irons, which I have long admired from a distance, also measured up well. Mizuno has a sophisticated set of weighting that can be adjusted to a player’s swing tendencies. What I was really impressed with, though, was the quality of the clubs from Chicago’s very own Wilson and Tour Edge, and a name out of the past, Yonex, which was at one time a trendy driver manufacturer. Although somewhat under the radar, all three are turning out quality clubs at attractive prices. 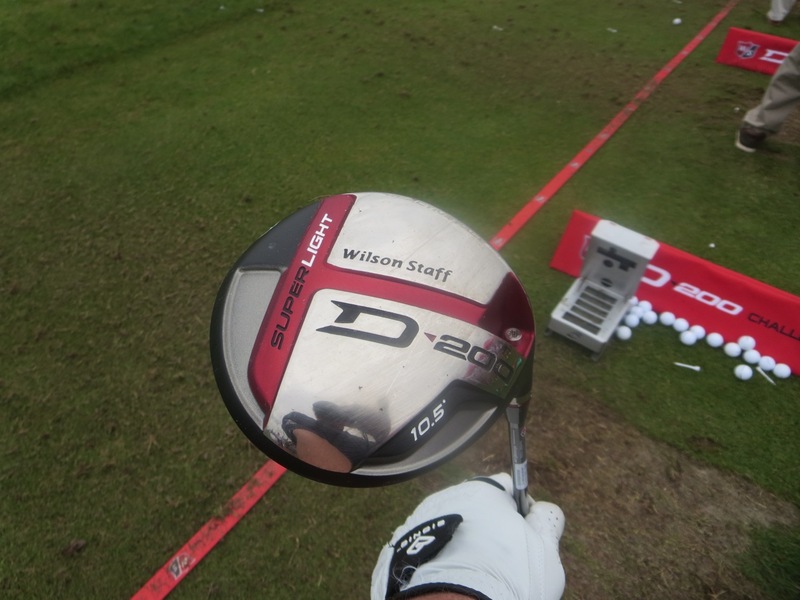 The ultra-light Wilson D200 driver is built for speed. Wilson’s D200 driver is so light and forgiving, it encourages aggressive swings that can translate into serious results off the tee. What a fun club. With its feather weight, the D200 just begs to be swung hard. It makes an odd tinny sound, but the distance it provided ought to be music to anyone looking for distance off the tee. Similarly, Tour Edge’s new adjustible fairway wood, which uses the same technology that has made adjustible-loft drivers popular, can be set anywhere from 12 to 15.5 degrees. It also has optional weight adjusments. And it has a rock-solid feel that inspires confidence. And it simply has a rock-solid feel that inspires confidence. The clubhead is a little smaller than the TaylorMade Rocketballz 3-wood I’ve been playing. The Rocketballz is a tantalizing club where the ball jumps on good swings, the Tour Edge has a hard-heade take-no-prisoners feel to it. And it delivered on its distance promise. If that PGA Show driving range hadn’t been so laden with temptations, I would have checked out Tour Edge’s irons and hybrids. Even their putters looked interesting. 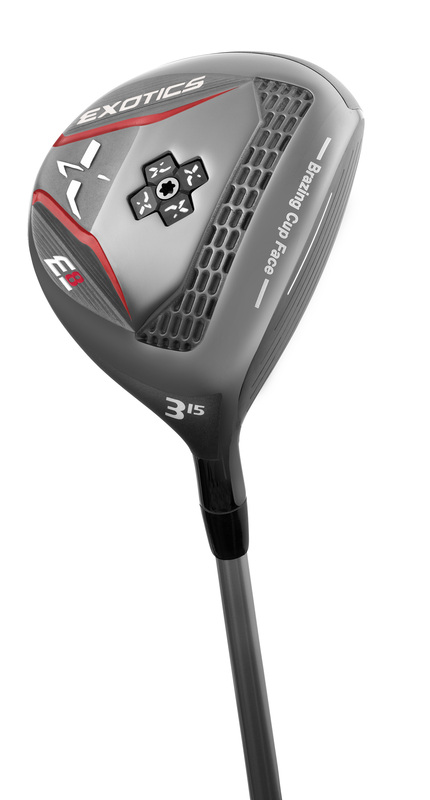 Tour Edge E8 adjustible 3-wood packs a powerful punch. “It’s knowledge, and staying true to what we’re trying to do. It’s all about making a good product,’’ said Tour Edge founder David Glod, who started the company out of his west suburban garage in 1985 and has built it into a top-10 manufacturer. Wilson and Tour Edge both have three broad-ranged lines designed for players of all skill levels—from tour pros to recreational players. Similarly, the modern Yonex driver produced a high launch-angle tee shot that stayed on line. I hadn’t thought about Yonex, which made a popular composition-head driver many years ago, in a while. But like Wilson and Tour Edge, it’s worth a look—especially for golfers who’d rather not overpay for a fancy logo. 2—GRIPS AND SHAFTS: I’m not all that into technical stuff. I still love my Bull’s Eye, which was in its heyday 50 years ago. But I do know that shafts and grips matter. A lot. The lighter the shaft, the better the chance for improved clubhead speed, and the distance that is my issue. I’ll be paying attention to shaft weight when checking out new equipment. Unlike shaft weight, I haven’t thought as much about grips. But I expect that to change after hearing some interesting theories about grips. I’ve never felt the need for an over-sized putter grip. When I’m putting well, I grip my putter very lightly. But that might go well with a fat grip. As Greg Sabella—an exec at Superstroke, which makes the popular Flatso over-sized grips—told me, a new grip virtually creates a new putter. For about $25, that’s a pretty good deal. Another development that makes sense is a new line of Golf Pride grips that are thicker where the bottom hand rests. The multi-compound MCC Plus-4 eliminates the need for tape underneath a grip, and simplifies the process for those who like the feel of thicker grips because they promote lighter grip pressure. 3—CLUB-FITTING: With all of these variables, club-fitting becomes much more important. Fortunately, club-fitters abound, and simulator equipment such as Trackman is available at more and more locations, from training faciities to retail outlets. Yup, it sounds pretty involved. But when you stop and think about all the other things golfers do to improve their games, taking the time to find the right equipment is the only way to go.